From the setup of your facility’s plumbing to its upkeep and maintenance, let Hylan Plumbing Supply keep your residential or commercial building fully stocked. Businesses usually have a maintenance staff familiar with the upkeep and installation of your facility’s plumbing. As a business owner, you don’t have time to worry about the day-to-day water flow. What you should concern yourself with is the preparedness of your maintenance crew—if they’re responsible for the upkeep of your business’s plumbing, they’re going to need the right tools. 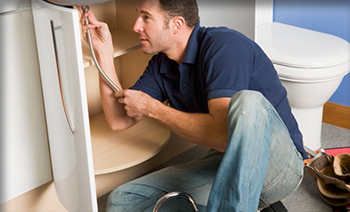 Hylan Plumbing Supply is more than happy to service your company’s account. We will provide your maintenance staff with all the parts and tools they need to ensure the job gets done right. We sell all the essential plumbing supplies individually and in bulk for your convenience. We also carry professional-grade plumbing tools and equipment to ensure that your maintenance crew will never be caught unprepared. Hylan Plumbing Supply will help keep your business running like a well-oiled machine.